High condensation of nitrates in residential water is quite a difficult problem to detect, but it is worth checking this parameter. Excessive amount might cause a lot of damage in human body. Nitrates are the problem of people who use water from a well in agricultural areas. 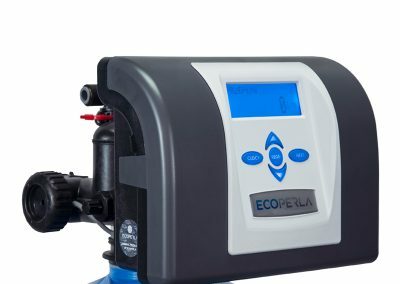 Removal of nitrates and sulfates from residential water is a task that Ecoperla Nitratower can cope with easily. 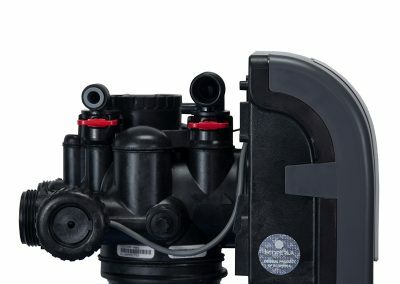 The system contains well-selected high-quality filter bed. 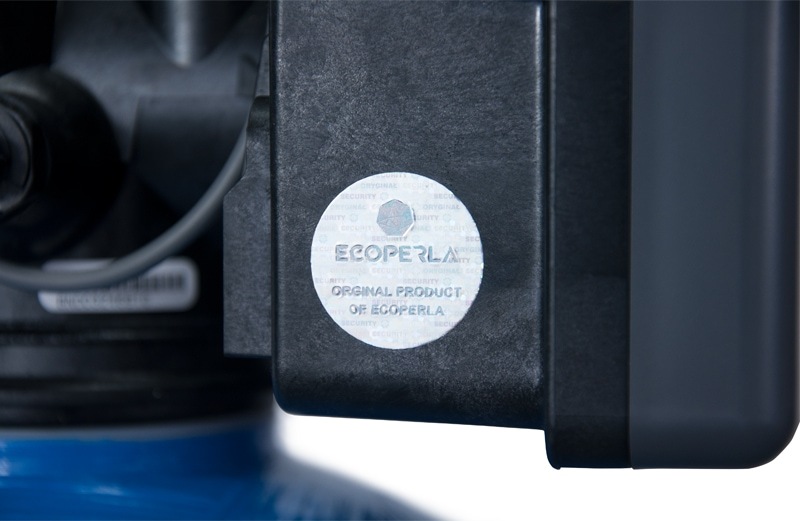 Ecoperla Smart System will provide the highest level of water filtration. Filtrated water will not only be safe, but also healthy. 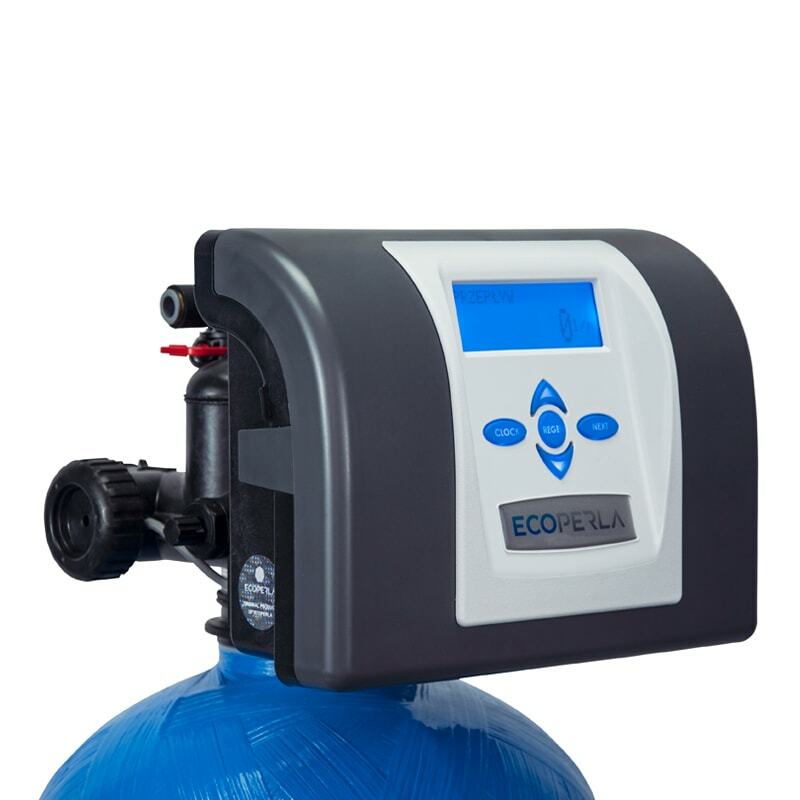 Ecoperla Nitratower is a porfessional system for removing nitrates and sulfates from water. 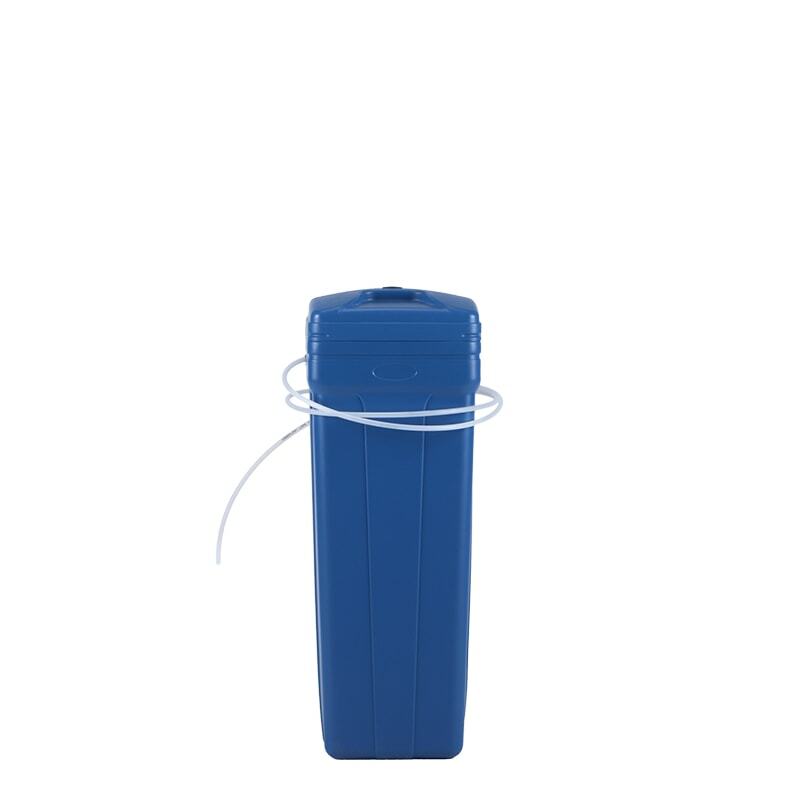 It is available in three sizes. 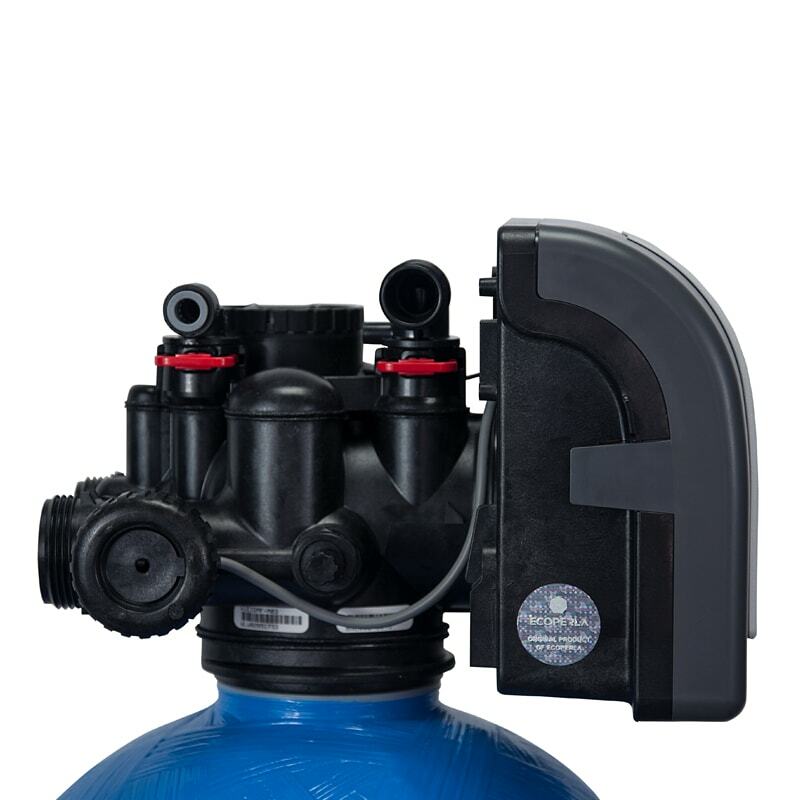 The system consists of stainless steel epoxy bottle filled with finest quality filter bed and failure-free control valve Pallas UF by American producer Clack. 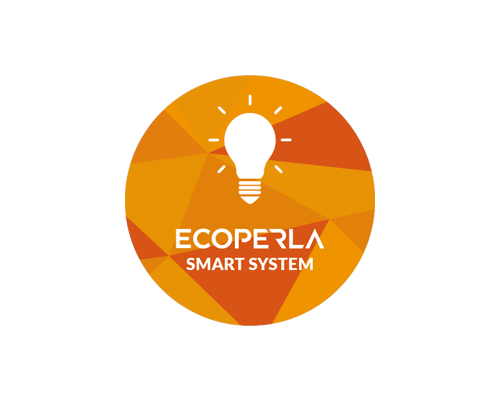 Ecoperla Nitratower is extremely efficient and economical due to the application of Ecoperla Smart System. Ecoperla Smart System is a specially designed system of control valve settings that allows to maintain the optimal operating conditions of the filter with the maximum reduction of operating costs. 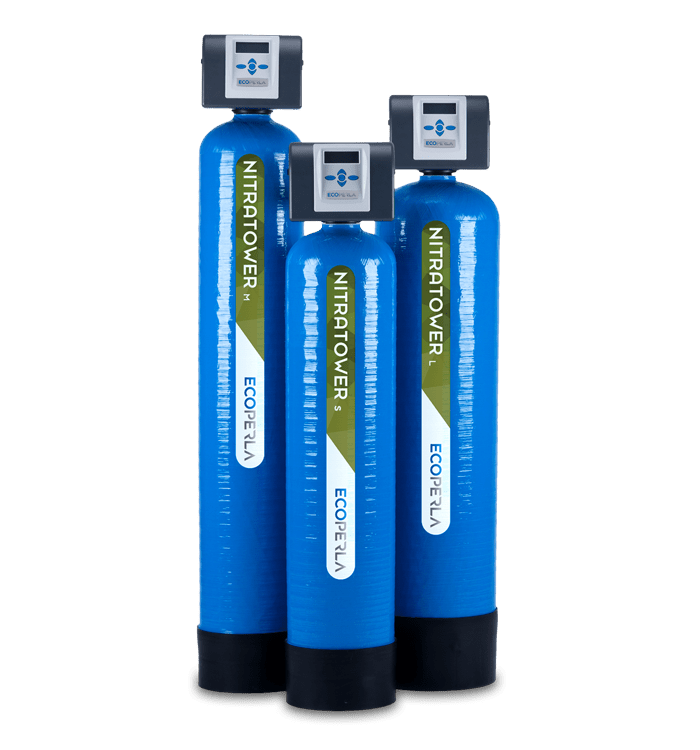 Filter bed used in Ecoperla Nitratower has been specially selected to optimally remove the problem of high concentration of nitrates and sulfates in water. The bed is characterized by long life span. the frequency of regeneration depends on the amount of pollutants in water. 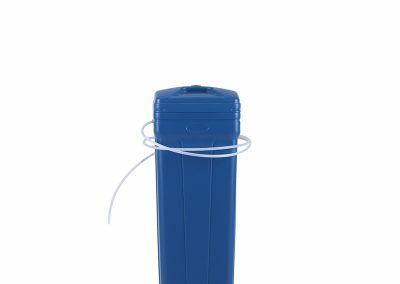 It is an Up-Flow regeneration. 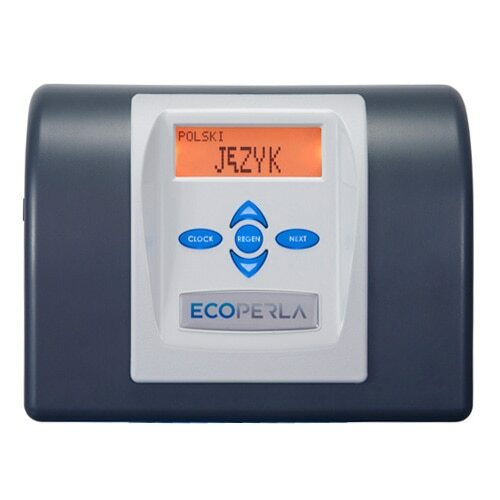 Practical information and technical data about water purifier Ecoperla Nitratower. 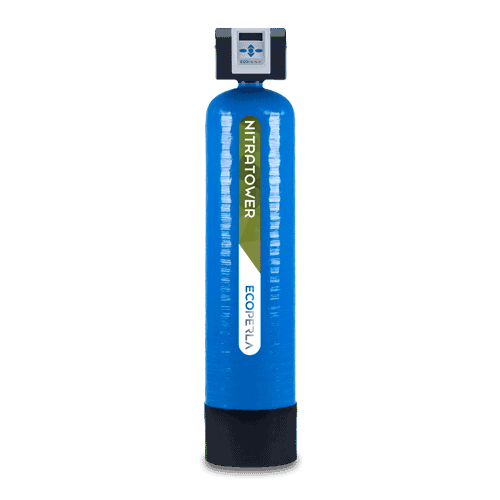 User’s manual for water purifier Ecoperla Nitratower including all the information about the installation.